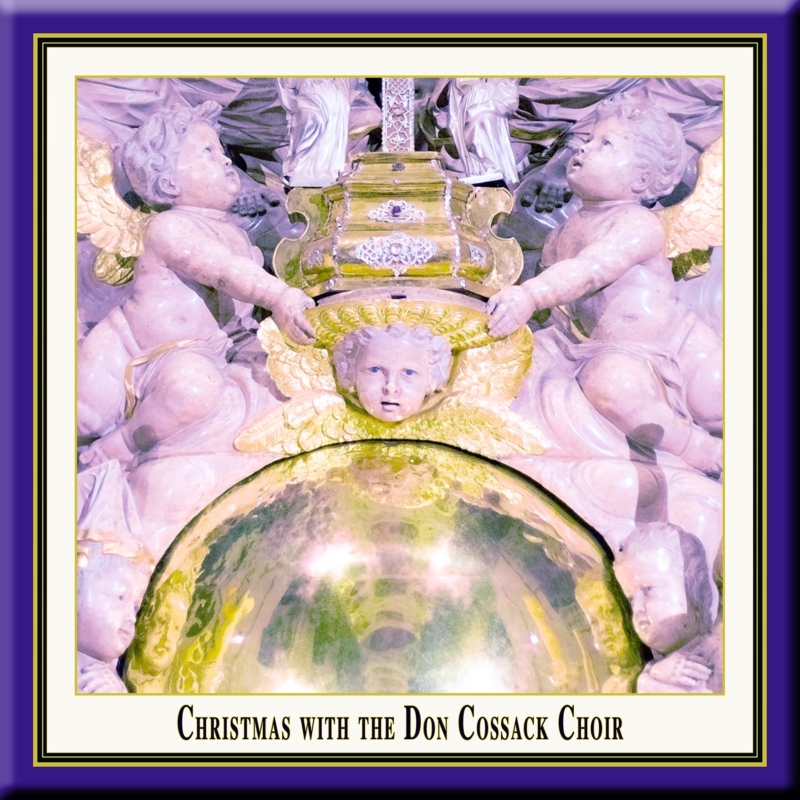 he Christmas concert, with Russian and German Christmas carols, was recorded in one of Germany's most beautiful Baroque churches. In addition to the well known sacred songs such as "In dulci jubilo" and Russian pieces like "Gospodie Pomuli", Wanja Hlibka delved deeply into the ways of both cultures. The a cappella version of "Es ist ein Ros entspungen", for example, enchanted the 1700 concert goers with the Kosaken's Russian melancholy..... a moving and grandiose experience. The church's interior, when one considers the basilica's dimensions, presents a challenge to a vocal ensemble. With a depth of over eighty meters, it requires the vocal power of the Russian operatic soloists comprising Wanja Hlibka's choir to elicit the necessary charisma from the vocally sophisticated arrangements and to captivate the audience in the way that they did. The atmosphere of the concert, dependent on the desired expression and dynamic, ranges from a peaceful, quiet, almost gentle honoring of the child in the manger to an enormous room-filling song of praise proclaiming the joy at the birth of the Redeemer. he minster of Waldsassen, which you will encounter in this production, was established in 1133, with its present structures being built between 1685 and 1704. Prominent builders such as Georg Dientzenhofer and Abraham Leuthner created one of Bavaria's most remarkable Baroque churches. In 1803 the minster was given to the catholic community as a parish church. In 1969, the collegiate church was sanctified as a papal basilika minor. The church interior has a total length of 82 meters and the nave with basilican profile is attended with chapels and galleries. The organ has 7720 pipes and is the second largest in Germany. Prominent international conductors, such as Leonard Bernstein, Sir Colin Davies, Lorin Maazel, Yehudi Menuhin as well as many famous choirs, orchestras, soloists and organists made the Basilica Concerts an insider tip throughout Germany. he choir was founded in 1991 by Wanja Hlibka and George Tymczenko. Both were soloists in the world famous Don Cossacks Choir until its disbandment in 1979 and are thus well qualified to continue the tradition. Wanja Hlibka was their youngest soloist, from 1967 to 1979 and feels particularly obligated to the ensembles memory. 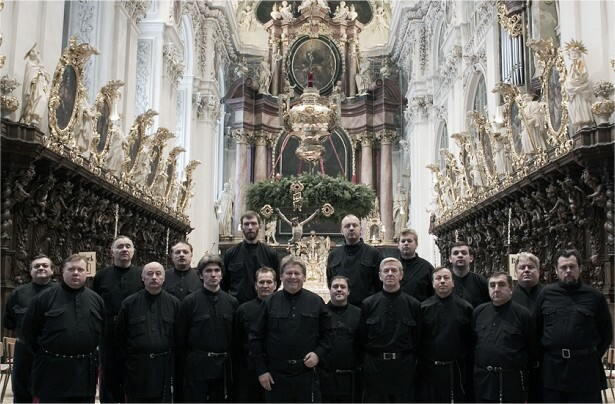 He gathered together first class soloists from the Bolschoi Theatre in Moscow and the Kiev and Odessa Operas to form the successor choir, whose unique dynamic spectrum, from the transparency of a Gregorian chant to the vocal authority of an operatic chorus, is probably unmatched. The choir performs live and without the aid of amplification, even in such large venues as the Musikhalle in Hamburg, the Messehalle in Frankfurt or the Gewandhaus in Leipzig. The repertoire is the same as the former original choirs, with all scores being transcripts from Serge Jaroffs private music library, presently in the care of his son, Alexeij, in America. anja Hlibka was born into a Russian-German family in 1948 in Petershausen, near Munich. He had his first private singing lesson at the age of 17 and was engaged only two years later by Serge Jaroff. During breaks from touring, he studied music at the Hamburg Conservatory and later singing with Professor Josef Metternich in Faldafing near Munich. Despite repeated offers from opera houses, he remained loyal to Serge Jaroff until the disbandment of the choir. He still exclusively dedicates his voice to Russian music. Wanja Hlibka sees, now as then, his most important task to be the furtherance of Serge Jaroff's art.